…. is the mantra most often heard, but how does one achieve it? To test, measure, and improve QoS, GL offers complete simulation and analysis solutions across ALL networks. The architecture provides for complete and integrated lab management, element functionality, device provisioning, and automation solutions, whether its end-to-end or within the core network infrastructure -- of Wireless, NextGen IP, and TDM networks. What are the issues frequently faced by service providers, equipment manufacturers, and end users? and how do GL products offer cost effective test solutions? End users perceive quality in a practical way. For voice - reliable and repeatable connections, quality of heard speech, none or imperceptible echo, low delay, low noise, and good volume are generally considered important. For data - secure and quick connections, low response time, and good and consistent throughput. For video - perhaps uninterrupted connections, good resolution, and audio video synchronization may be important. For facsimile, image quality, speed, and errors may be important. Service providers assess quality through Service Level Agreements (SLA) that assess long term service reliability, quality of service, and traffic volume capacity. Service coverage area, features and functions, and consistent call quality are also important. Equipment providers address quality through equipment characteristics such as conformance to protocol specifications, meeting throughput, latency, blocking / congestion requirements, and to reliability and availability specifications over time. GL’s products through interface flexibility, traffic versatility, and quality measurements can assess all network characteristics and provide functional and feature test capability. Finally GL’s products generate all types of traffic: voice, data, and video. When deployed for quality testing, they are network, technology and device independent, centrally controlled, and remotely monitored in real-time. GL products such as VQuad™ and MAPS™, emulate all of the above traffic through a variety of interfaces (IP, TDM, and Wireless), measure quality metrics such as MOS, echo, noise, and delay and can be networked (with WebViewer and NetSurveyor) for centralized control and monitoring. GL’s VQuad™ Probe provides the flexibility to connect to any type of end interface for Wireless, Bluetooth, Ethernet/IP, TDM, 4-wire, and 2-wire. Once the end-point connectivity is achieved, the Voice-Video-and-Data Quality test suite provides detail QoS reports across any network. 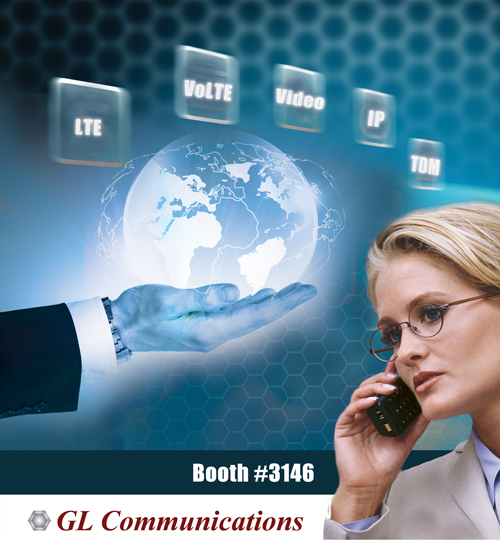 GL’s MAPS™ (Message Automation and Protocol Simulation) provides any protocol / hard / soft switching emulation for 100’s to 10,000’s of simultaneous calls, sessions, and transactions. And finally our Protocol Analysers provide a uniform framework for analysing any signaling protocol, and traffic on any technology. The architecture of all the above products is clean, uniform, easy to setup, and easier to conduct QoS tests. With these elements, an end-to-end Wireless, VoIP, TDM networks or even hybrid combination of networks can easily be tested. Such a network can be used by end users for evaluating end equipment under various network technologies, conditions, impairments, and characteristics. Similarly a service provider may substitute their specific equipment for evaluation under different traffic types or loads. An equipment manufacturer may use such a configuration to simulate realistic conditions under which their equipment must function.